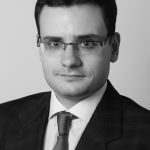 Georgi Kerpedzhiev studied the Elite Graduate Program “Finance & Information Management” at the University of Augsburg, University of Bayreuth, and the Technical University of Munich. Since summer 2017, Georgi is a research associate at the Research Center Finance & Information Management (FIM). He is interested in topics including the future of work, BPM, and digitalization. Ulrich König studied Computer Science and Information Management (M.Sc.) at the University of Augsburg. 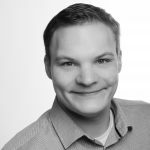 Since January 2016, Ulrich is a research associate at the Re-search Center Finance & Information Management (FIM) and is interested in process deviance, robotic process automation, the future of BPM, and digitalization. 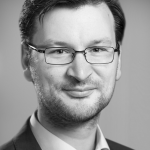 Maximilian Röglinger is Professor of Information Systems and Value-based BPM at the University of Bayreuth. 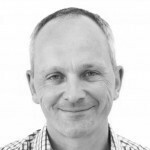 In addition, he is Deputy Director of the Research Center Finance & Information Management (FIM) and works with the Project Group BISE of the Fraunhofer Institute for Applied Information Technology FIT. Maximilian’s activities center around BPM, customer orientation, and digital transformation. In BPM, Maximilian focuses on BPM decision-making, the impact of digital technologies on BPM and process project portfolio management. His works have been published in renowned journals. Michael Rosemann is Professor of Information Systems at Queensland University of Technology and the author/editor of seven books, more than 250 refereed papers, Editorial Board member of ten international journals and co-inventor of US patents. His publications have been translated into Russian, Mandarin, German and Portuguese. Michael’s main contributions to the global body of BPM knowledge have been in the areas of ambidextrous BPM, BPM maturity assessments, BPM governance, configurable business process, guidelines of process modeling, rapid process redesign and context-aware BPM. Michael has been a keynote presenter at all major global professional and academic BPM conferences.